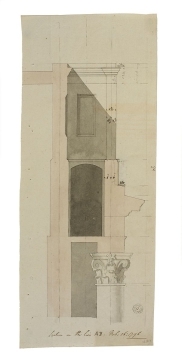 The drawings are for the entrance to the Porter's Lodge from the rampart walk. 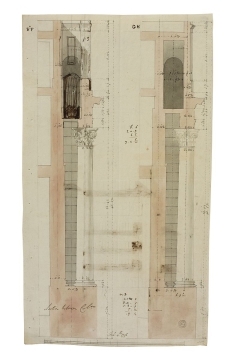 The rampart walk passed behind the attic of the Lothbury entrance gate. 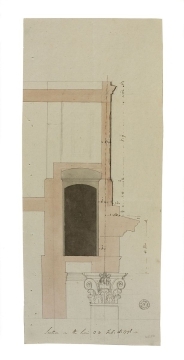 The inscription in drawing 21 refers to an engraving for a publication by Soane, presumably unrelated to the drawing shown. 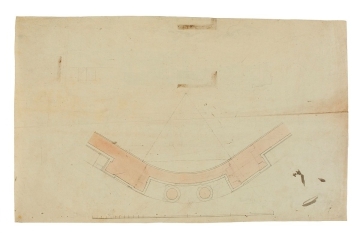 The inscription may be contemporary to the drawing (1797) or from a later date. 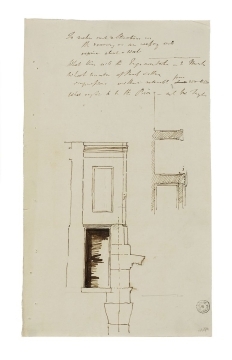 An inscription on the verso of drawing 24, in Soane's hand, refers to a meeting at Number 9 Beaumont Street, with a note 'Devonshire plan'. 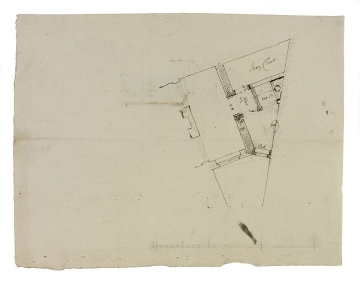 There is evidence that Soane was involved with managing the lease and rent payments for an unidentified house at Beaumont Street for the Duke of Abercorn (SM Archive L/C/450) but this documentation dates form 1800. 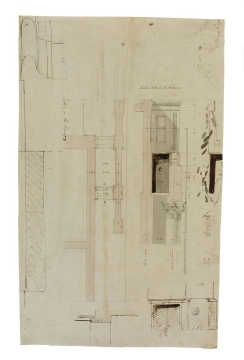 'Devonshire plan' probably refers to survey and repairs Soane conducted at Number 15 Devonshire Square, EC2, for Stephen Thornton, a director of the Bank of England and Soane's client for a number of properties (including Moggerhanger, Bedfordshire). 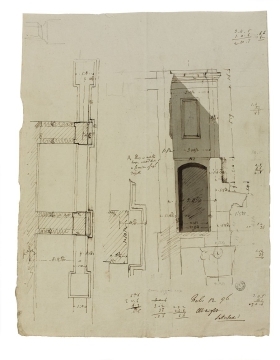 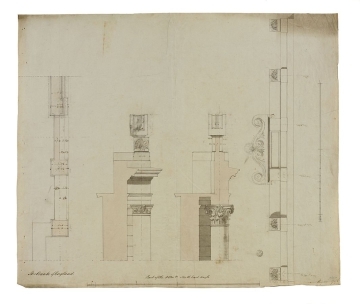 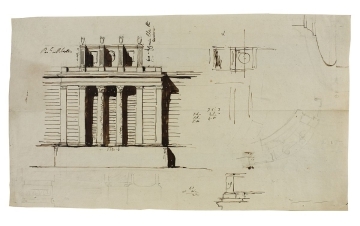 In 1794, Soane surveyed the property and in 1797 he made minor repairs (SM Archives L/C/253 and 8/87).